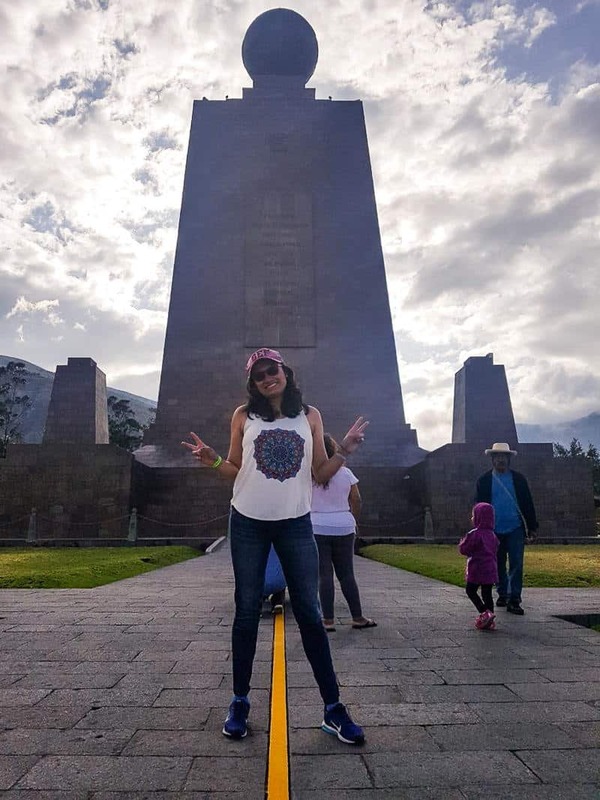 If you visit Quito, one obligatory stop is La Mitad del Mundo, a small city crossed by the equatorial line that connects the Northern Hemisphere with the Southern Hemisphere. 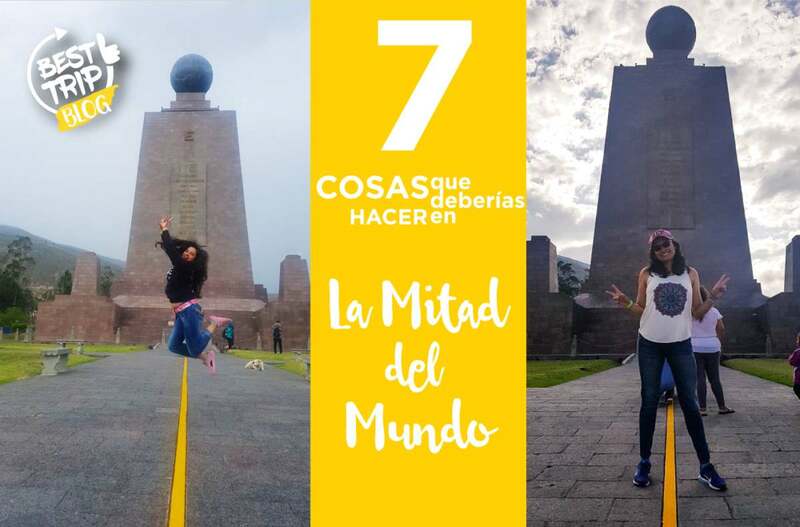 We share our list of the 7 things that we suggest you should do in your visit to the Middle of the World. 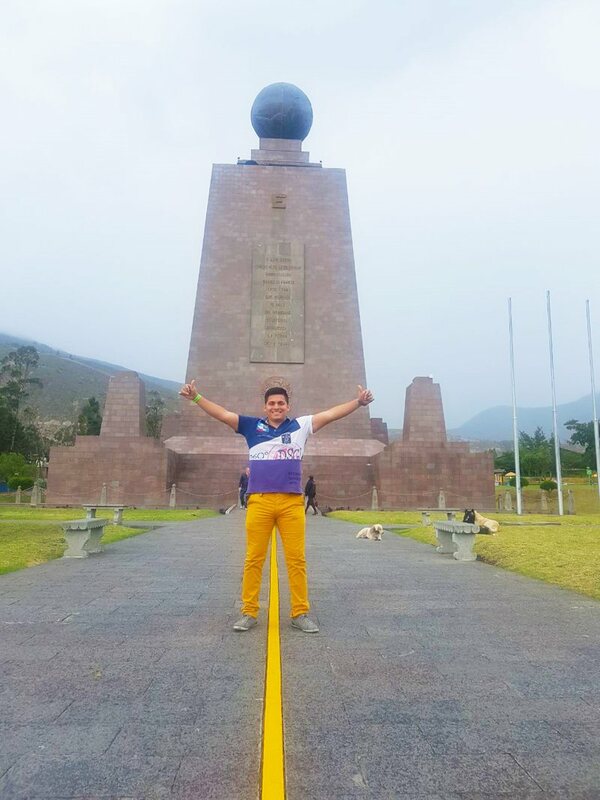 At the same time you can put one foot in the Northern Hemisphere and another foot in the Southern Hemisphere, having in the background the 30-meter-high basaltic monument, erected in 1982 and crowned with the world globe at the top. This is the most common photos of those who visit the Middle of the World. 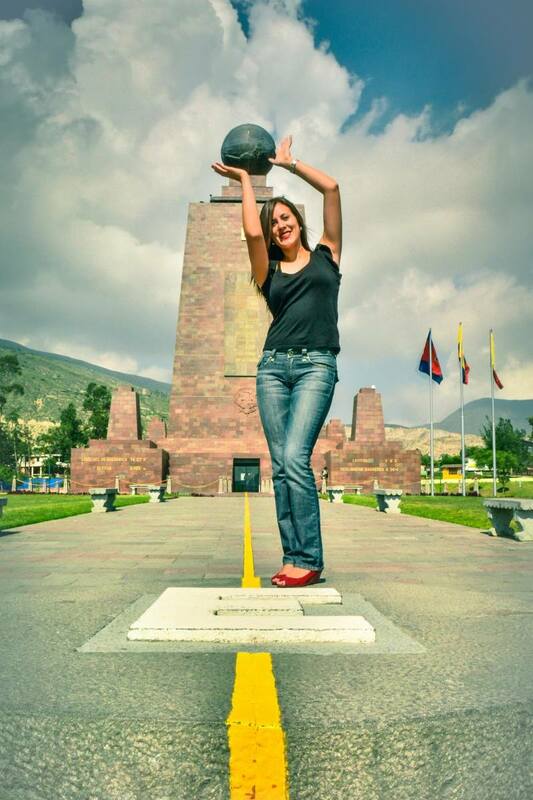 Feel the emotion of being in two hemispheres at the same time! Here it gets a little more complicated. 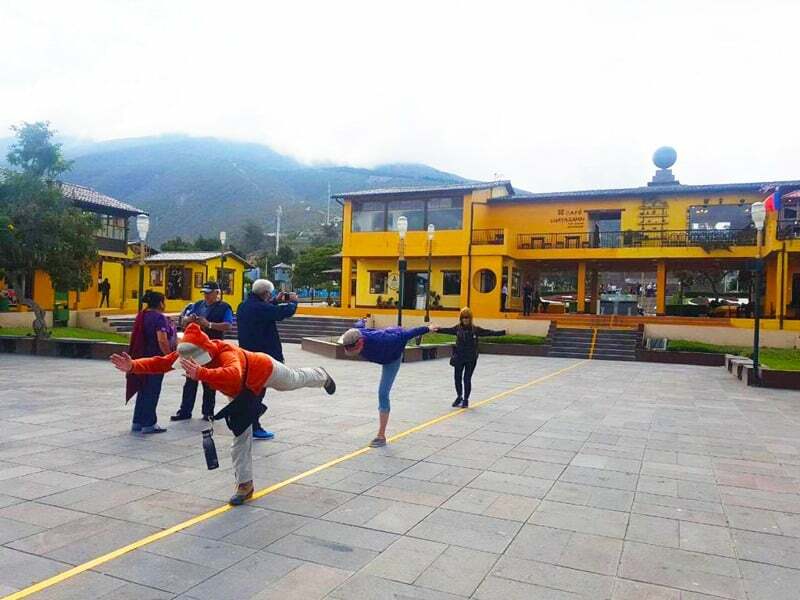 Could you swing by walking the equinoctial line without putting foot in any hemisphere? How many steps do you think you could take with your eyes closed? An interesting fact: The equatorial line has a length of 40,075 kilometers. It crosses the center of America, the center of Africa, the south of Asia and the north of Oceania. 3. COULD YOU HOLD THE WORLD GLOBE WITH YOUR HANDS? If we talk about good pictures, this is probably the most creative. 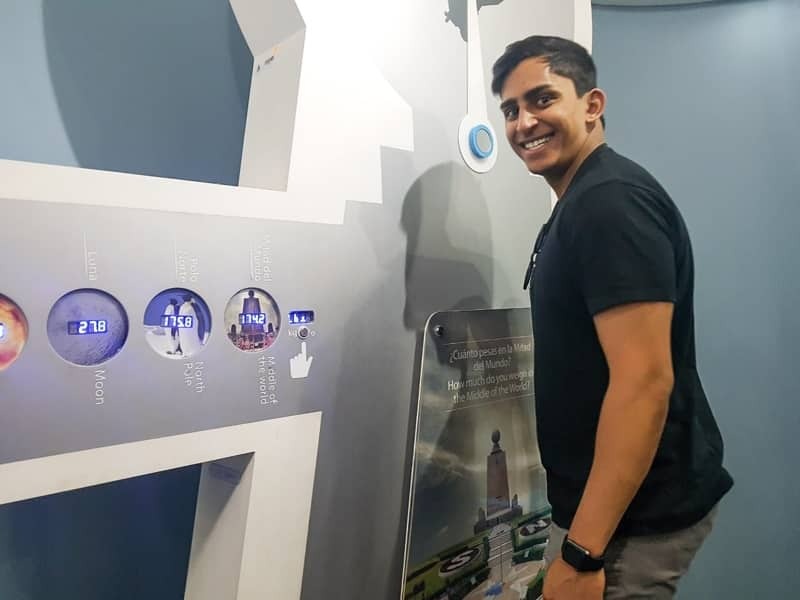 The distance between the park and the central monument will allow you to achieve an effect of forced perspective in which you can hold the earth with your hands. To take it because of its complexity, this is not one of the most common photos, because you need to keep your position for a while, someone who takes the picture, and a little patience to capture the perfect picture. Would you dare to do it ?. That’s right !. As incredible as this may sound, in the Middle of the World, you weigh less. In the equinoctial line, the body weight is one kilo less, due to the lower gravitational force that exists when being in the furthest place from the center of the earth. When talking about weight loss, you can say that you have made the diet of the Middle of the World. 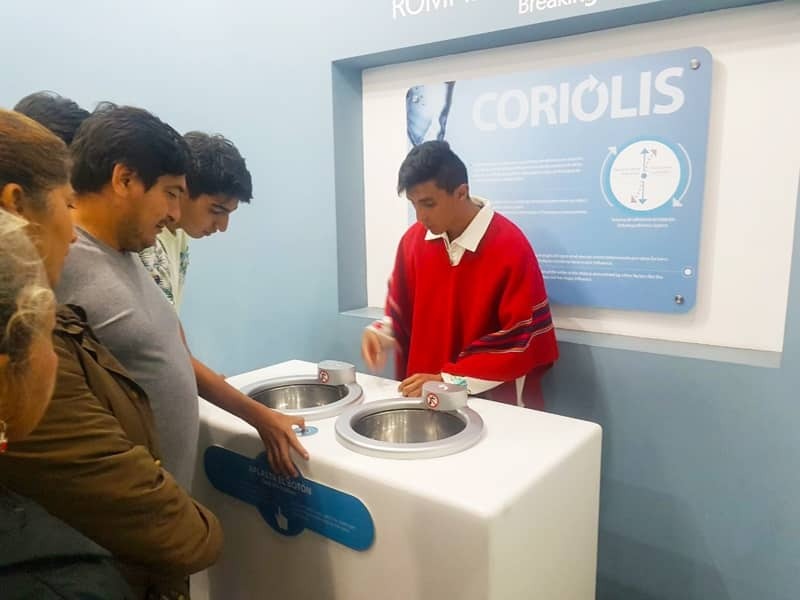 The coriolis effect makes the water turn for one side in the Northern Hemisphere (left or anti-clockwise) and for another side in the Southern Hemisphere (right or clockwise). In the exact line of Ecuador the water doesn’t swirl, because it falls directly without turning. You can see how the water rotates in several directions in the Middle of the World. Jump from one hemisphere to another ?. 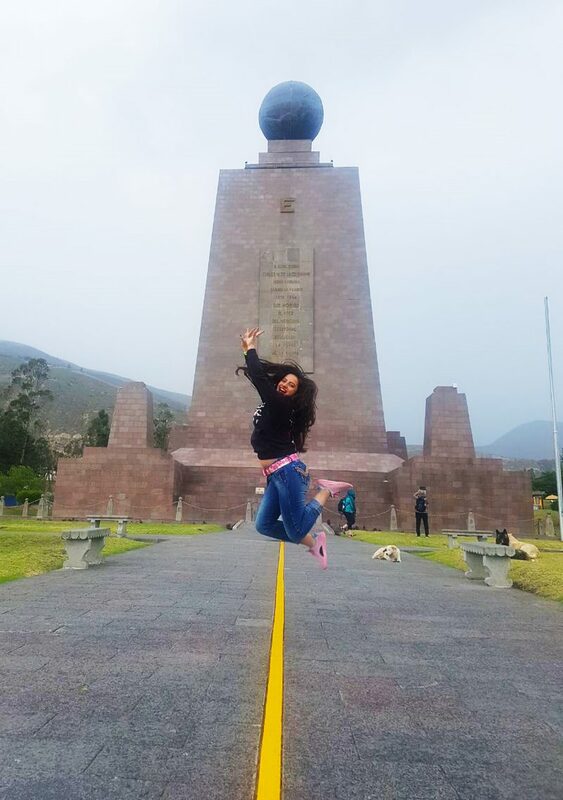 On the equator, it could be a very easy jump for you. However the challenge is if you would be able to capture that precise moment. In a few attempts you could have a picture with you in the air. Do a handstand, headstand, hitting hands in a jump or do a power struggle are other ideas for you to share photos. We leave the creativity to your ingenuity so that you can capture the photo with the most original poses. Finally, nothing better than an energy cleanup. This healing technique will leave our thoughts and emotions aligned. A brief visit to the shack of Taita Carlos Shaman will allow us to cleanse ourselves spiritually through the powers of ancestral medicine. 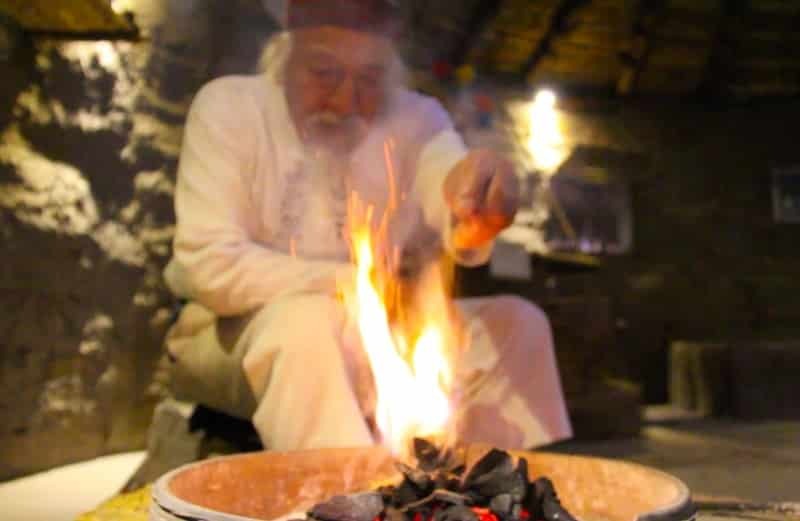 Do you believe in these spiritual cleansing techniques? We recommend you try it and check its effectiveness. 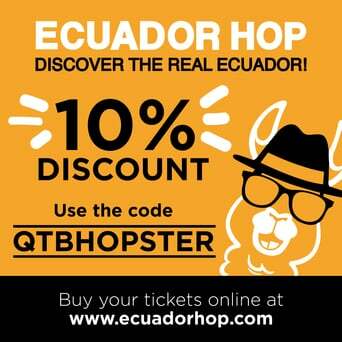 From Quito, you can take the Quito Tour Bus that leaves every day at 12h00 from the United Nations Boulevard. 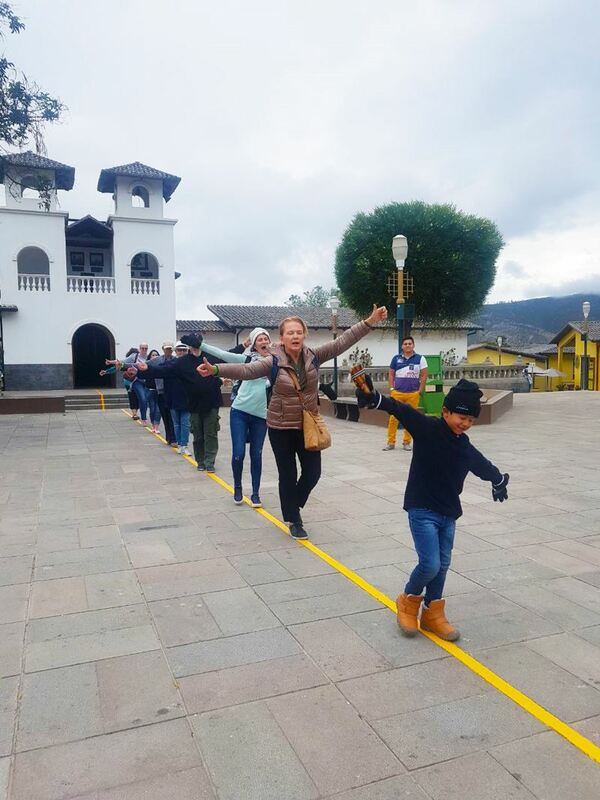 The first stop is the crater viewpoint of the Pululahua volcano, the second stop is the Ciudad Mitad del Mundo tourist complex where you can visit: the Equatorial Museum, Ancestral Homes, The Cocoa’s square, the Equatorial Monument and all the pavilions.